First order of business, an apology to all you Heavy mains out there. You are woefully underrepresented in the ratios of articles on this blog. 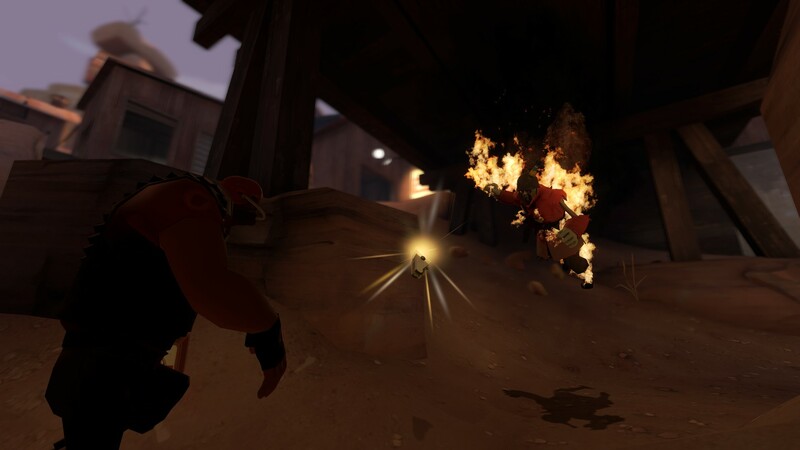 While Demoman and Medic are soaring high in the double digits, and almost everyone else can boast about at least a few articles dedicated to them, Heavies have only one. And it’s about shotgun heavy. Well, this isn’t 100% our fault, I like to think. Here are the best excuses I can come up with. 1) He is widely considered incredibly boring to play. When I used the term “heavy mains” up there, I’m thinking of this hypothetical group of people who would probably really enjoy this mod. It is true that there’s a bit of a stereotype surrounding our favorite Russian; lumber forward, when you see enemies spin the minigun up and then blow them away with your massive DPS minigun. If you’re low on health, stop and eat a Sandvich. Repeat. For that reason, I don’t enjoy playing him. For that reason, very few of the main SPUFers enjoy playing him. So he doesn’t really get anyone writing articles for him. Pictured: Basically 80% of playing Heavy. 2) He has no real subclasses. This blog thrives on minutiae. We love posting guides to the smallest of things, from crap custom game modes/maps to little-respected weapons and minute map differences you can exploit. 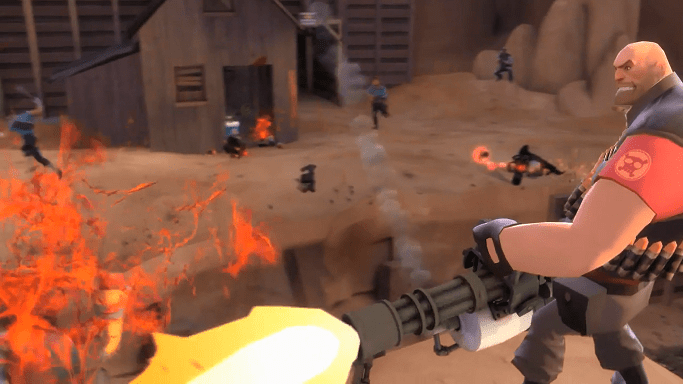 Our goal is to write about TF2 topics nobody else has before. And unfortunately, aside from the ill-respected shotgun heavy, there are no subclasses to speak of. 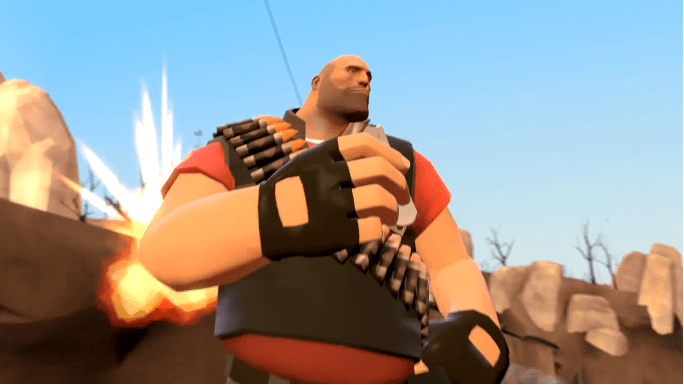 And even shotgun heavy doesn’t have any Valve unlock support; one of the most requested and theorycrafted items on SPUF is a Heavy primary that enables “Fat Scout” playstyle instead of being a minigun. But he doesn’t have one yet. Pictured: Basically the remaining 20% of playing Heavy. 3) He has no real strategy to speak of. Engineer is the other class widely derided for being easy and simple to play. Of course this isn’t perfectly true, but they may have a bit of a point. However, Engineer still has a lot of strategy involved. Where to place your buildings, how and when you spend your metal on things, and at the very least, keeping your shotgun loaded and your 125 hit points filled. Heavy has no buildings to place, no clips to keep track of (unless he forgoes the Sandvich for some reason) and the massive health pool to not really bother keeping track of it (a secondary that instantly refills it helps with that too). If I had to think of the three highest levels of heavy strategy, I’d probably say (1) jump-revving, (2) when to Sandvich and when to GRU, and (3) mastering the airvich. Not a lot to get a blog post about. All truly good heavies have mastered the airvich. Picture by Gen. DeGroot. However, if any of you out there can think of things I’m missing about heavy, if this blog post brings protests to your lips as you think of how you’ve mastered the Buffalo Steak melee heavy in regular play, and you want to say I’m wrong, jump in! We feel as bad about Heavy’s under-representation as you do. Help us figure out how to bring some class to this class, and we’ll try to rise to the occasion. Who is balancing this game anyway? !